I have long managed my fibromyalgia with healthy life-style choices including diet and exercise. My best fibro-fighting weapons? Starting my day with yoga and a healthy smoothie. The concept of eating “clean” just encourages you to consume more whole foods — such as fruits, vegetables, lean proteins, whole grains and healthy fats — and limit highly processed snack foods, sweets and other packaged foods. Yes, it’s a difficult concept to wrap your brain around during the holidays when we often indulge on extra calories in the form of holiday meals and baked goodies. Oftentimes we equate healthy foods with tasteless foods. But done right smoothies are the perfect combination of both nutritious and flavorful foods. I have posted some recipes and pics on the blog and my Instagram of smoothies and smoothie bowls, so I thought I would grab my favorites in one post. Smoothies take about 5 minutes to put together in a blender, and then you have the perfect meal on the go! June is Men’s Health Month so here are some gift ideas to keep those men in your life healthy. 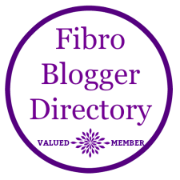 In case you haven’t stopped in before, I typically write about life with fibromyalgia syndrome (FMS) and strategies for coping with it naturally. As June is Men’s Health Month and Father’s Day is coming up, I wanted to offer some gift ideas for keeping the men in your life – dad, husband, brother, friend – healthy and happy. Men typically live 5 years fewer than women. Men are more likely to have heart disease than women. Men are more likely to use tobacco and drink.